Discovered when I was sorting out my junk. 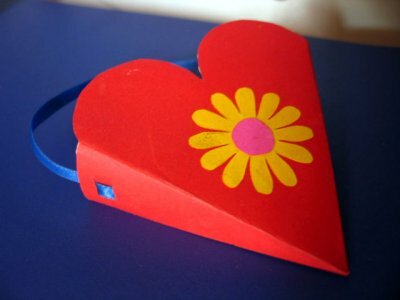 It’s a heart-shaped bag made of construction paper. The actual size is just a little bigger than the first photo. 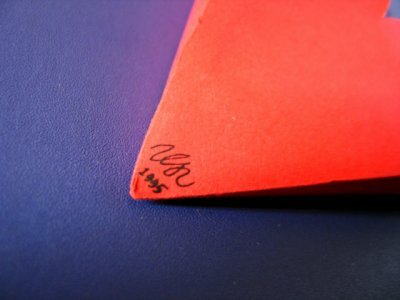 The second photo shows that I’ve been forward-thinking enough to sign and date it. There’s two of them. I don’t remember a specific reason for making it apart from my usual habit of “just to see if I can”. I’m not sure what you can use it for. Maybe for filling with candy and giving out as party favours.